Change Your Filter: The simplest step that can be taken to further the life of your furnace, changing the filter ensures that your furnace is running safely and efficiently. The general rule of thumb on changing filters is to switch them out every 3 months depending on the air quality around your home. However, for those people who live in dry or dusty climates, it is recommended that you change your filter more frequently. Frequent Servicing: The best way to ensure that your furnace stays in good working condition, is to have it serviced by an HVAC professional. With your furnace running at an optimal level it will require less energy to heat your home, your home will stay more comfortable, and small problems can be identified before they turn into big problems. There’s always going to be a certain amount of dust in your home, no matter how often you dust off your furniture. However, if you notice an unusual accumulation of dust—or a large amount of it coming from the heat registers when the furnace kicks on—it could be your furnace telling you that it’s ready to give up the ghost. 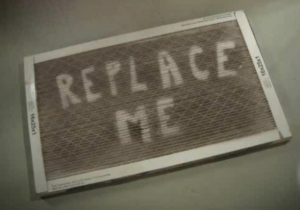 Your furnace takes dirty outside air, filters it, heats it, and blows it throughout your home. As your furnace gets older, it has a harder time filtering. Of course, you should change your filters every one to three months, but it’s not just your furnace filter that helps to clean your air. Your ductwork and blower fan also help to filter your air. If you notice an excess of dust, call a certified Green Apple Plumbing and HVAC technician toll-free. Think you can ignore that small plumbing leak? You might put a bucket down under the sink and leave it be. Or, if the leak comes from the faucet, you might not worry too much about what to do next, since the “drip-drip” can be hidden by shutting the door. However, the average home’s plumbing leaks account for about 10,000 gallons of water a year! That means higher bills and wasted natural resources, but it’s something you can avoid. Get your plumbing leaks repaired ASAP. You will save money in the long run. Water damage to your home can be extremely expensive if left unchecked. 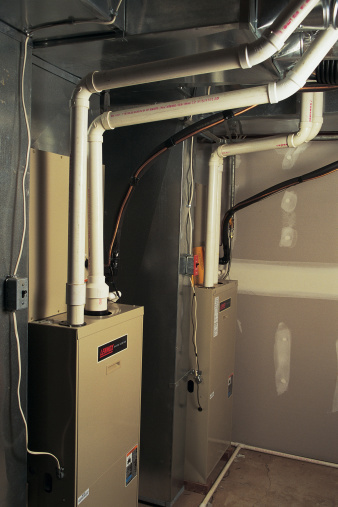 Preventative maintenance helps ensure your furnace is always operating at its absolute best, which helps to keep you from spending more than you have to. Not only can your furnace operate at peak efficiency with preventative maintenance, your finances can as well. A Green Apple HVAC technician can take care of small problems while tuning your furnace before those problems become more problematic and more expensive. First, make sure to schedule an annual furnace inspection from a Green Apple professional as soon as possible. Dust and dirt can build up in the warm months when you don’t use your heater, and worn parts probably haven’t been replaced since last year’s heating season ended. A tune-up from a trained professional can fix all of those little problems, which reduces strain on the system and lowers the amount of energy it uses to warm your home. Your technician will also make sure dangerous combustion gases, such as carbon monoxide, are safely venting outside. Think about setting up a maintenance plan so you never forget about the important task of scheduling tune-ups for your heating and cooling systems. Instead of heating the whole neighborhood, you’ll want to close common air leaks around the home to keep the expensive heat inside. The most common air leaks are found around doors and windows. The more air leaks you have, the harder and longer your heater has to work to get the job done. The more your house is sealed, the better it will retain all that cozy warm air. NJ Is About To Get Frigid! The temperature in New Jersey is about to drop significantly and all over the news they are talking about frigid the temperature will be getting colder and colder as the day progresses. That’s why it’s more important than ever to make sure your furnace is in full working order and that there are no glitches large or small that could be hindering its performance. Now is an ideal time to make sure you schedule your annual furnace inspection. 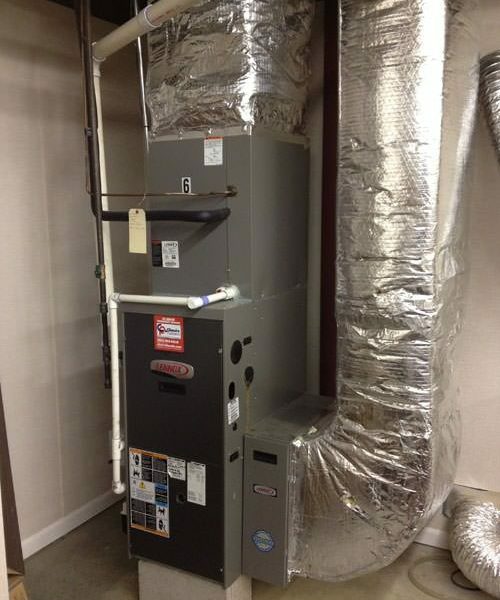 HVAC experts recommend having an annual furnace inspection. You don’t want to get stuck in a freezing house because you failed to be proactive and have your furnace properly maintained. If you have any questions or concerns regarding any of your HVAC or plumbing needs please feel free to call your friends at Green Apple toll-free at 888-315-5564. 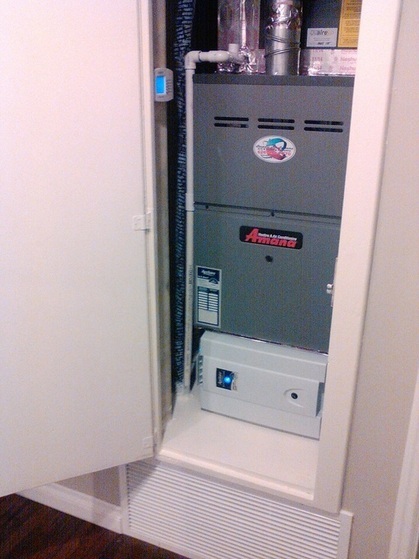 Furnaces on average last 15-20 years, heat pumps 16 years, and air conditioning units 10-15 years. 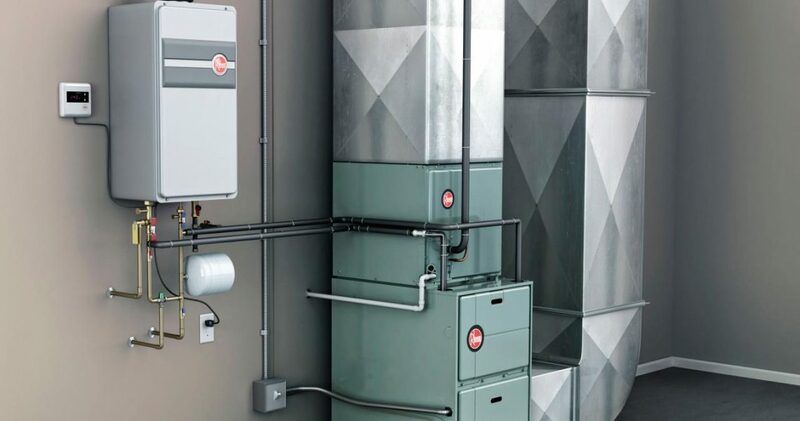 Tankless water heaters last more than 20 years, while an electric or gas water heater has a life expectancy of about 10 years. Every furnace should be inspected by an HVAC professional once a year but this becomes even more important once your furnace starts to get into the 15-20 year range. Research shows that homeowners, depending on the age of their home, will call a plumber only once every 3 years! To some this may seem like a lot, but to others they might get a visit from a plumber every year. There are many different types of plumbing problems, but we’re always asked “is this a common problem?” Though we’ve seen a wide variety of plumbing problems from big to small, we generated a list of what our technicians most commonly see in the homes they service. Most people have had a dripping faucet in your home and have probably ignored it for a while! That dripping faucet not only wastes water, it wastes money on your water bill. 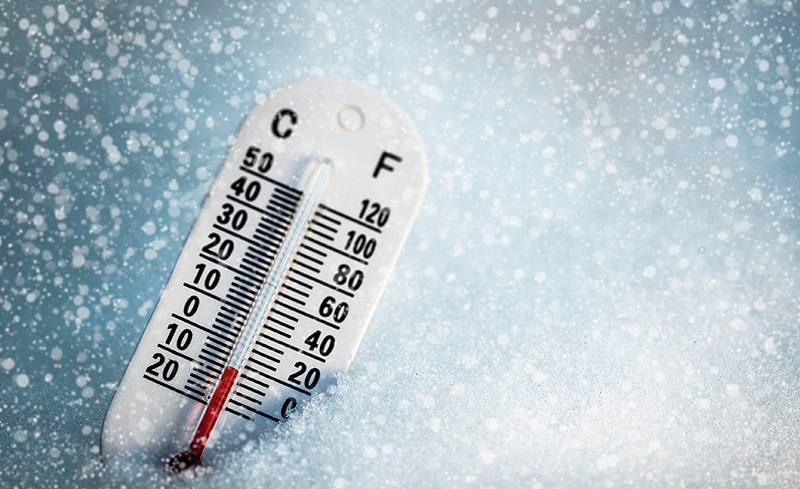 While we see a lot of leaking pipes during the cold winter months, it’s also very common year-round! Most pipes will begin to leak near the joints, so keep an eye out for wet spots on the ground or ceiling. Water damage to your home can be quite costly, so leaky pipes are a necessity to fix right away. Did you know that a running toilet can waste up to 200 gallons per day? That’s a lot of water waste! water leaking can be costly to your home. 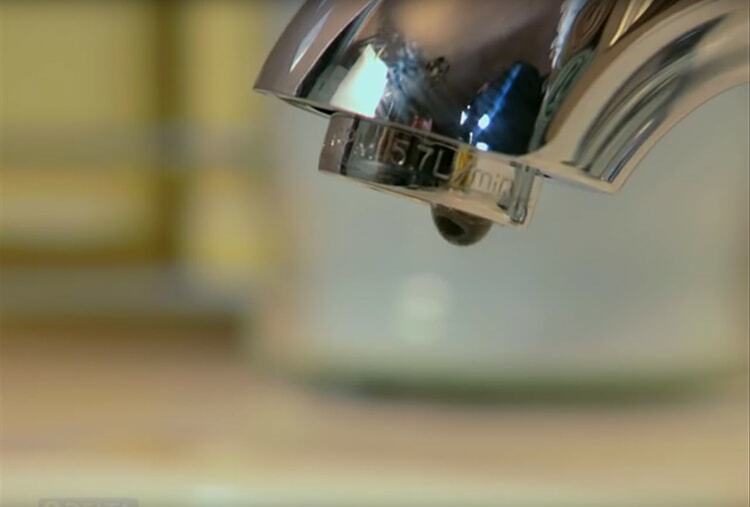 A lot of older homes will experience low water pressure, but you may be asking why? It could be time for a new showerhead or you could have a hidden leak in your home. A leaking hose bibb is very common in the spring and summer. After a long, cold winter many hose bibbs that aren’t protected can crack and begin to leak. We advise our customers invest in a frost-proof hose bibb, which can reduce the chances of having future leaks. Our expert technicians warn customers to stay away from any type of over-the-counter drain cleaner! Instead, give us a call to clear the slow or clogged drain. A prolonged period of heavy rain can cause your sump pump to fail. Protect your home and belongings with regular sump pump maintenance. 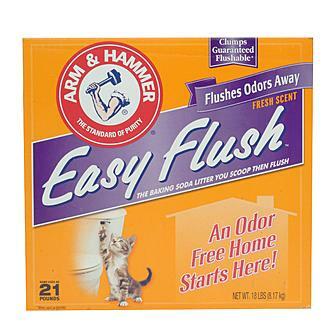 Fact: Although many manufacturers may claim that their natural litter is flushable, do yourself a favor and don’t ever flush it! Cat feces contain toxoplasma gondii, which is a parasite that is harmful to humans. Though it generally doesn’t pose a risk to healthy adults, it can harm pregnant women and marine life. Modern wastewater treatment is effective at removing the parasite, though it can pose a greater problem in countries without these modern systems.